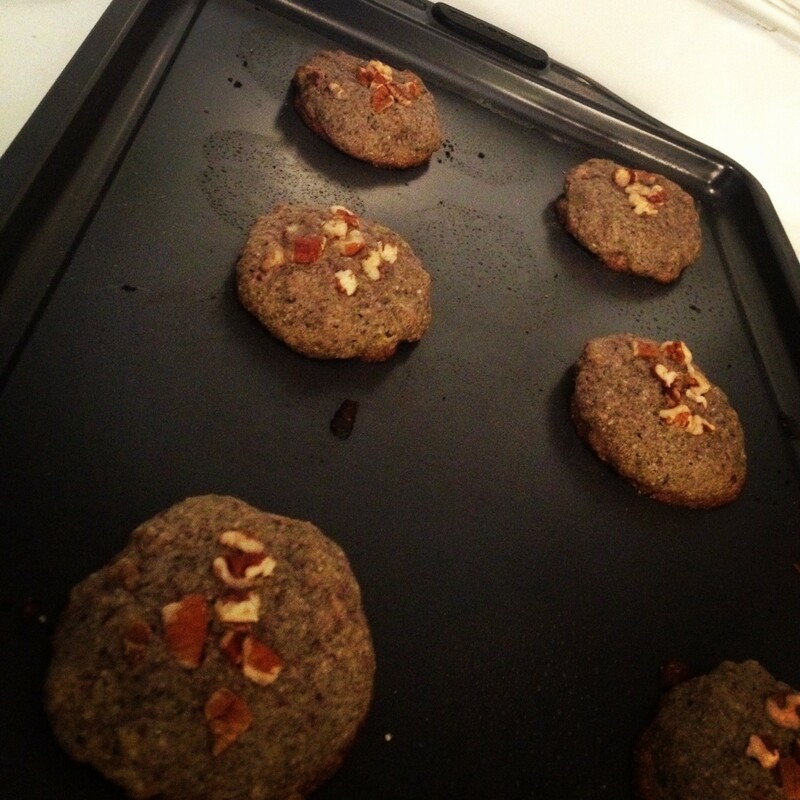 Home > Food N Drink > Buckwheat pecan sandies OMG wheat, gluten-free and vegan friendly! Buckwheat pecan sandies OMG wheat, gluten-free and vegan friendly! Who said Martha Stewart couldn’t be edited a little? These cookies are easy, yummy and fairly healthy! If you only eat 2 of them haha you are only ingesting about 160 calories which is a perfectly acceptable snack! O.k here goes..
1 cup of Buckwheat flour – any kind! O.k so easy melt a stick in the micro for 20 secs so it is starting to get melty. Put into a big mixing bowl and add the sugar first until you have a caramel colored froth. Then add your pecan friends, all at once they are brave! After fold in the dry (flour and salt) if you are using a mixer you can really just dump in the flour and salt because the mixer will kick out the dry balls and air pockets. If you are using a fork old school, you need to add the flour in slowly so you are able to beat up this cookie batter without your hand getting too tired! The reason these cookies are called sandies is because of their almost disturbing resemblance in consistency and color to sand.Once you have a sandy paste (wet sand consistency) you just need to spoon small balls (2 inches/2 inches) onto a baking tray keeping 2 inches apart. Martha said this would make me 18 cookies and I found it not to be true 🙁 it made 14, also she said bake 350 for 15-17 minutes and at 15 my 1st try cookies were burnt underneath. So.. bake 11 minutes and check, mine were done! BandMark presents: TUCKER | The cutest pug in the world! How to select the perfect jeans | Care manual 411!